Field recordings meet electronic production in project to explore the city’s relationship with water. 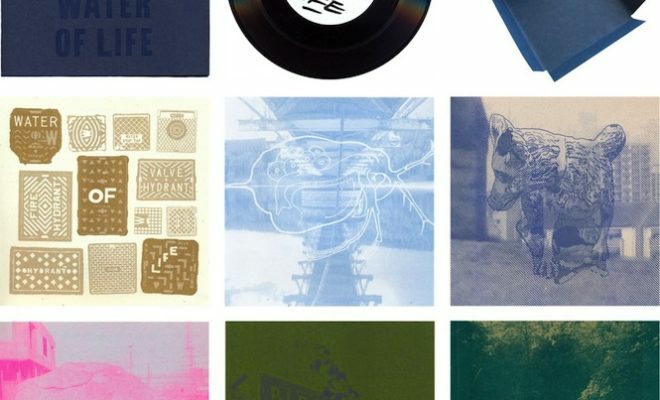 Part of a more expansive project of ‘liquid cartography’, artists come topographers Rob St.John and Tommy Perman have released a highly limited edition 7″ box set complete with prints, writings and reflections that explore “the lines that water threads through Edinburgh”. Field recordings made with hydrophone, ambient and contact microphone recordings of rivers, spring houses, manhole covers, pub barrel rooms, pipelines and taps are mixed with the peals and drones of 1960s transistor organs, harmoniums, Swedish micro-synths, drum machines and iPads: a blend of the natural and unnatural; modern and antiquated; hi-fi and lo-fi. Drum beats were sampled from underwater recordings, and reverbs created using the convolution reverb technique to recreate the sonic space of different bodies of water. 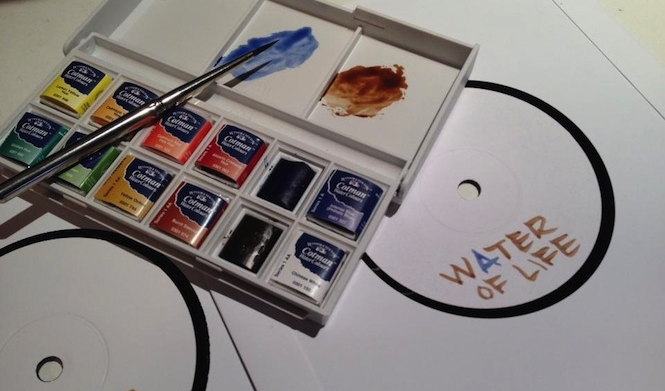 Side A begins with a set of field recordings taken at the start of Edinburgh’s water network – the sources and springs at Talla, Harperigg and Comiston – slowly merging into a tune for Edinburgh’s imagined and unseen landscapes inspired by Abercrombie and Plumstead’s futurist vision for the city in 1949. Side B is about confluences through the city: the pipelines, storm drains and sewers leading to sanitation and the sea, ending in a set of voices singing an excavated children’s song about a watery spirit said to haunt the Pennybap boulder by Seafield Sewage Works. 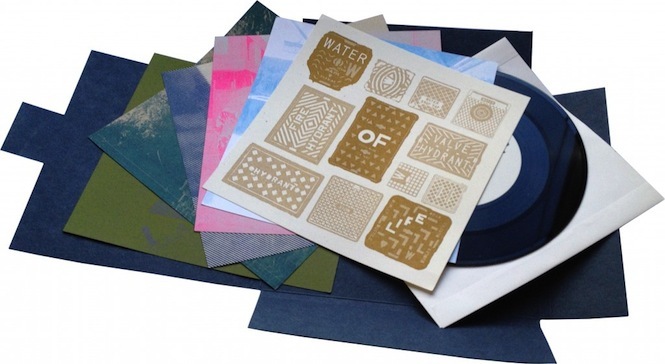 A fascinating and ambitious project that tests the boundaries of what we perceive as music in the environments we live in, Water of Life is out now and can be purchased from a series of independent record and book shops in the city or via the Water Of Life Bandcamp page. You can also click here for more info and updates on the project as a whole. If Scotland’s your bag, then check out our film with Glasgow legend JD Twitch, who chooses his all-time 10 best Scottish records.